Enerac only manufactures portable combustion emissions analyzers and is considered the experts in this field. The Model 700 is used for a vast array of applications. The most common applications are those related to combustion sources, such as Boilers, Burners, Engines, Turbines, Generators, Kilns, Dryers, Heaters, Ovens … to name a few. The Enerac Model 700 combustion analyzer is also of interest to scientists and their respective combustion/emissions experiments typically found at the university research environment as well as in the private sector. The Enerac 700 is perfect for gathering extremely accurate and reliable data for internal needs as well as for the necessary emissions reporting requirements for local, district, county, state and federal agencies. The Model 700 Is perfect for S.C.A.Q.M.D. compliance requirements ( and the other CA districts ) EPA compliance tests ( i.e. 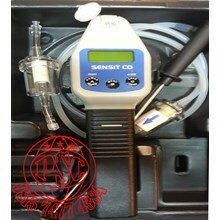 ctm 30, ASTM – 6522, ctm 34, for CO, NOx requirements etc. ), method 2 ( stack gas velocity ), and method 25B ( Hydrocarbons ). 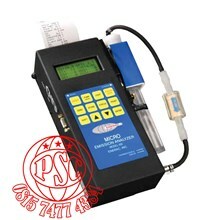 The Model 700 combustion analyzer is hand-held, weighs 6 lbs and is easy to operate ( no technical expertise is needed ). The 700 units are rugged, made with a metal case and considered the workhorse of the industry; withstanding years of use and abuse. No one makes a more affordable, accurate, rugged, reliable and sophisticated portable combustion emissions analyzer than Enerac. We custom build all units and can engineer sensor ranges and options to customer requirements for their respective application(s) at hand. The Enerac Model 700 units have easy access for replacing sensors in the field. The back of the unit has easy thumb screws to pop off the back plate. Once the back plate is off, the sensors are easy to see and pop in and out. These sensors are field replaceable (the unit does not need to be sent back to the factory for sensor replacement). The 700 also has the ability to be field calibrated without having to send the unit back to the factory! Free factory tech support is always available if need be. The Model 700 combustion analyzer is fully upgradeable ( one can order new sensors and options to the same unit over time ). The 700 also has a standard sample conditioning system (thermoelectric condenser also called a peltier cooler) necessary for the proper detection and measurement of both NO2 and/or SO2 gases. The Model 700 also has proper control over the NO sensors tendency to drift over time with increasing ambient temperatures. The Enerac Model 700’s NO SEM sensor incorporates a proprietary temperature control system designed to automatically hold the nominal filter and sensor temperatures at < 30 degrees C. This ultimately prevents rising measurement data drift and maintains the actual lower readings of the NO ( NOx ). This in turn prevents one from overstating one’s NO ( NOx ) emissions. 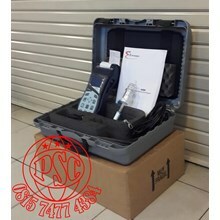 The Model 700 combustion analyzer combines a high quality tubing ( Viton hose with its specific dimensions and flow rate ) along with an accurate and reliable conditioning system ( peltier cooler ) with the additional benefits of the extremely accurate SEM sensors. The result is a Compliance-Level Emissions Analyzer that produces reliable, accurate data in the palms of your hands. The Model 700 combustion analyzer comes with 500 internal storage buffers for storing collected data during a testing event. With Enerac’s free Enercom software, one can use during the testing event or download the stored data at a later date. There is a serial port ( RS 232 port ), USB port and Blue tooth for communicating with your Enerac 700 and your computer. 4&8 line 128 x 64 pixel dual display with backlight. This 4&8 line dual display allows one to see many parameters at once or “zoomed in” closer look at a few specific parameters of interest. 9” L x 3/8” O.D. Inconel probe with 10’ Viton hose. The standard Inconel probe handles high temperature applications ( 2,000 deg. F ). 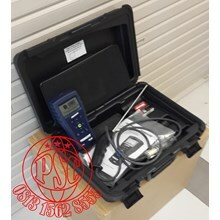 This high quality Viton hose with its special material, dimensions and flow rate assists in proper sample transport of the gases being detected and measured. 18”L S-Type Pitot tube w/9’ (3/16” D) rubber tubing. This Pitot tube is a separate probe that is used in addition to the standard probe. It allows one to take velocity measurements of the gas stream involved ( which are used to calculate mass emissions rates; which meets EPA method 2 ). The world’s most accurate electrochemical gas sensors only available through Enerac ( the inventor!) These sophisticated electrochemical sensors bring more accuracy to your testing event ( unlike standard electrochemical sensors found on competitor units ). We offer standard ranges for these sensors as well as Low Range, High Range and everything in between! The SEM sensors are configured in Dual Ranges. The high range is typically 3X the low range. Sensor ranges are engineered to meet customer requirements. Just let us know what ranges you need and we will build it! 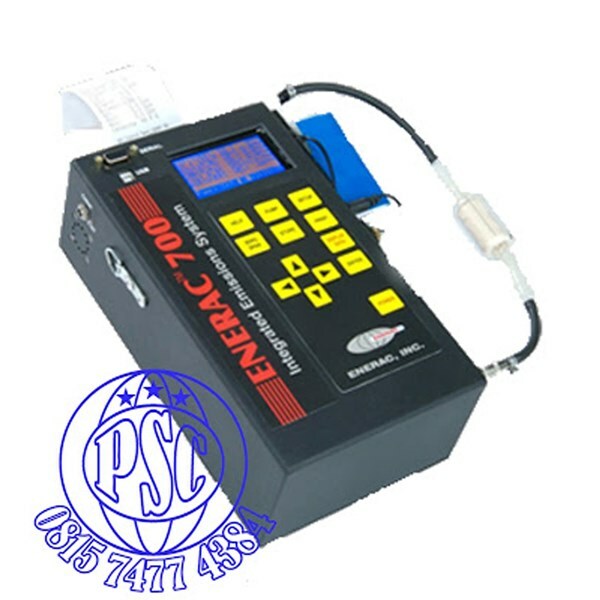 The Model 700 combustion analyzer incorporates total NOx (NO + NO2), a sample conditioning system (cooler) for proper NO2 detection and measurement as well as a temperature controlled NO sensor only found at Enerac. This temperature controlled NO SEM sensor helps prevent temperature drift associated with standard electrochemical sensors and their respective increase in readings (without any gases present). This avoids any “overstated” NO (NOx) readings and reporting etc. This sensor temperature status appears on your print out. No one else offers this technology. With the combination of the standard high quality viton hose (teflon available) and the standard advanced sample conditioning system (cooler), one can detect and measure NO2 and or SO2 gases accurately! Both NO2 and SO2 gases are “sticky gases” and should be properly conditioned before respective gas sensors detect and measure their quantities etc. Easy to Use Key Pad makes a task a Snap. If you want to Print, Store Data, Zero Cal, Turn the pump on and off (and other options)…Just Press the easy to read buttons etc.